I got a tweet from @moodlenews asking why would I want the documents I have in Moodle stored in a SharePoint document library. Well it’s a very good question so I thought the fourth and final post on Integrating SharePoint and Moodle would be why we want to do this. Once you have uploaded your file into Moodle the file is stored in a folder on the Moodle server. This is great but it doesn’t allow you to edit the file. By storing the file in a SharePoint document library you can easily find the file, change it and not have to worry about re-uploading the file again. 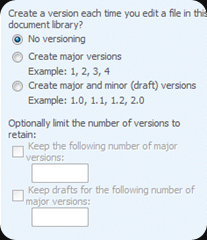 SharePoint allows you to keep versions of the document you are editing. Over the academic years you may change the file several times, add and delete content but one day you’ll want to go back and view something you deleted. SharePoint will allow you to revert back or just browse previous version. If you are working as a team on a set of files for a module you can now upload them in Moodle and work together with them on SharePoint, tracking each others changes. As the files are now being stored in SharePoint, SharePoint will search/crawl the files for the file name and content inside the document. Using SharePoint as your central place to search you all your academic resources is a great learning tool for the learner to find what they are looking for. Microsoft have been working hard on their Office Web Applications available for Word, Excel, PowerPoint and OneNote. 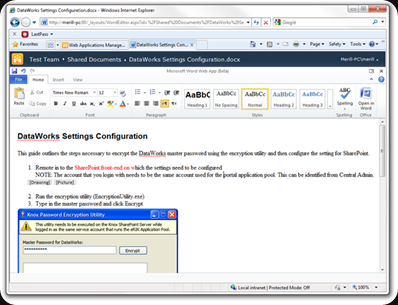 SharePoint 2010 also allows documents to be opened in the browser using the web apps. The teacher can now open the document they want to change in the browser and simply make their quick change and save it back to the site with out having to upload and download again. All these are great but you wouldn’t want your students to see the changes to document they are using in a course while you making changes. You can check the files out to make changes, make changes over a few minutes, hours, months but until you check the file back in the users will see the original file you want them to see until you are ready to release those changes. 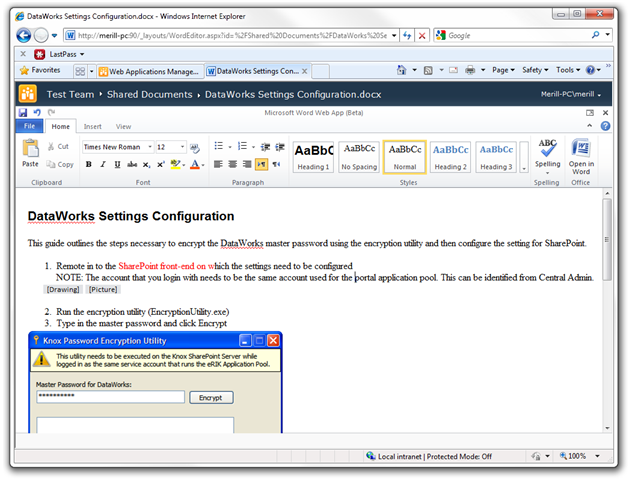 SharePoint Workspaces allows you to download a document library and make changes from a machine that doesn’t have access to that SharePoint site at the time. In other words you can now make changes to your Moodle course documents with out needing an internet connection. If you have a process for releasing learning resources to students, you can take advantage of the approval process in SharePoint that will allow another colleague to check the files before you release them to all students. Pingback: SharePoint what LMS are you using? All that has happened is that if you use a particular set of tools (Office in this case) the process is wrapped up nicely so the end user doesn’t see the mechanics! And they then get upset when it doesn’t work using a slightly different tool! Thanks for your in-depth and intelligent posts, they’ve been valuable to me in researching an integration between SharePoint 2010 and Moodle 2. 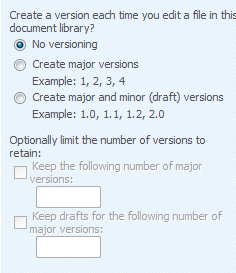 That would preclude files going back into Sharepoint and take down the benefit of versioning, but can users use the file picker in Moodle 2 to pull in files FROM Sharepoint? The benefit I’d see in at least having one-way traffic is that our people won’t have to output documents to an external repository before using the file picker in Moodle. If they can, is there a security risk that the Moodle API could open every document on our SharePoint to view? Is there someway to ring-fence a portion of the SharePoint off so that only sub sites with documents related to courses would be accessible from the file picker? Perhaps by a white list in the API? 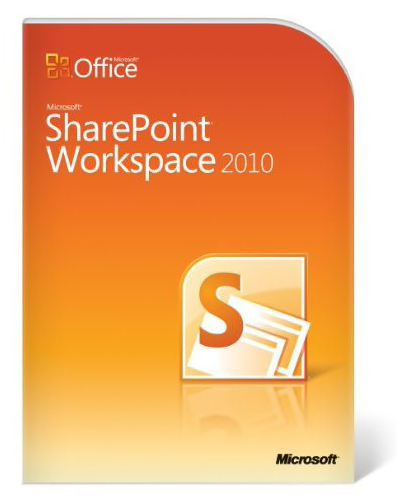 Do you have any good news about Moodle 2 and Sharepoint 2010 integration? Thanks for the comment – I will shortly be releasing a plugin for Moodle which will allow you to integration Moodle and SharePoint 2010. I was just looking into the current state of SharePoint 2010/Moodle integration and found your posts. Did you make any progress with your plugin (mentioned above) or have any other more up-to-date info on this?